If any of the above symptoms worsen, please contact Surgical Associates of Mansfield right away. 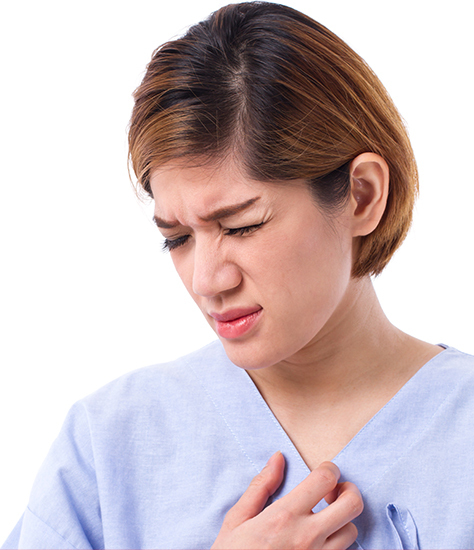 In most cases, GERD will not go away on its own and may require a more serious treatment, such as surgery. While there are numerous non-surgical treatment options for acid reflux and GERD, in some extreme cases, surgery is your best option for recovery. If you have been suffering from GERD for many years, or if medications are proving to be ineffective in treating all your symptoms, you may want to consider surgery. To learn more about this minimally-invasive procedure, please contact Surgical Associates of Mansfield today. Through x-rays and esophageal manometry, our surgeons will be able to determine if there are any abnormalities of muscle function that are indicative of achalasia. We may also use endoscopy to detect early cases of achalasia. Once we have determined an individual does have achalasia, we will perform Robotic Heller Myotomy to treat the condition. To learn more about how we treat achalasia here at Surgical Associates of Mansfield, please do not hesitate to give us a call. Surgical Associates of Mansfield offers several surgical options for those suffering from GERD. Prior to the surgery, one of our knowledgeable surgeons will sit down with you and go over your options. It is our intention to ensure each and every patient has a good understanding of their diagnosis and treatment recommendation. We know how unnerving the word ‘surgery’ can be, but we are here to make you feel at ease and help you understand how reflux surgery can improve your overall quality of life. Whether you have been living with reflux disease, heartburn, or GERD your entire life or have developed some of the symptoms mentioned above, it may be time to take action and get your health back. Our surgeons believe in using the least invasive surgical procedures possible and will do everything we can to get you back to your optimal health as soon as possible. As leading reflux disease surgeons, we understand how uncomfortable - and sometimes painful - it can be to live with GERD. To learn more about your reflux disease treatment options - including surgery - please do not hesitate to contact Surgical Associates of Mansfield today.